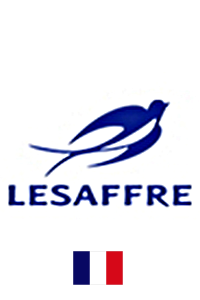 Lesaffre is a family company, world leader in biotechnologies, especially in the field of baking yeast, yeast extracts and nutrition and health. The group is present worldwide with more than 40 plants and 7500 employees in the 5 continents. Lesaffre has a R&D with 150 persons working in different areas such as genetics, microbiology, enzymes, analytical science, biofermentations, purification and baking science. Phileo – Lesaffre animal care is the business unit of the Lesaffre group in charge of the business of feed additives and is also present in the 5 continents. Leading products are live yeast, yeast cell walls, mineral enriched yeast and enzymes.